One of the black boxes of the crashed AirAsia 8501 has been recovered from divers in the Java Sea at a depth of over 100 feet, and officials are positive that given the right weather conditions, the second black box would be retrieved in good time. According to Bambang Soelistyo, Indonesia’s chief of search and rescue operations, the flight data recorder of the fallen jet was brought to the surface by divers early Monday morning, but the search for the cockpit voice recorder continues. A day before, Tonny Budiono, a search coordinator stated that searchers had “succeeded in finding a very important instrument, the black box of AirAsia QZ8501.” He believed that the black boxes could be lodged under the wreakage of AirAsia jet and are 60 feet apart – and that search crews would use balloons to lift wreckage pieces to the surface so as to retrieve the boxes – and the balloon system was actually used to raise the jet’s tail to the surface on Saturday. 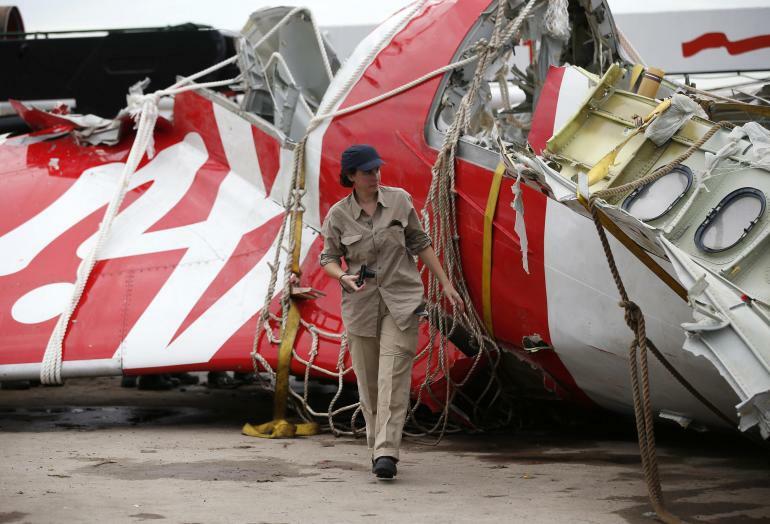 Lifting off from Surabaya, Indonesia on a short flight to Singapore, the crashed AirAsia flight had 162 passengers on board before it disappeared from radar and then plunged into the sea on December 28. Indonesian weather officials blame weather conditions for the crash – but retrieving the data and cockpit voice recording boxes would be key to determining what actually happened. Heavy rains, high winds, and perilous weather have hampered search operations, and divers have had visibility problems limited to as little as three feet even in good weather. Sonar detected a large object near the pings on Sunday after some clear skies, and officials initially were hopeful it was the main section of the Airbus A320’s cabin. Soelistyo later said divers had confirmed it was a wing and debris from the engine. According to the National Search and Rescue Agency, 32 out of the 48 recovered bodies have been identified, and divers would continue to look for more bodies even as they search for the remaining black box.